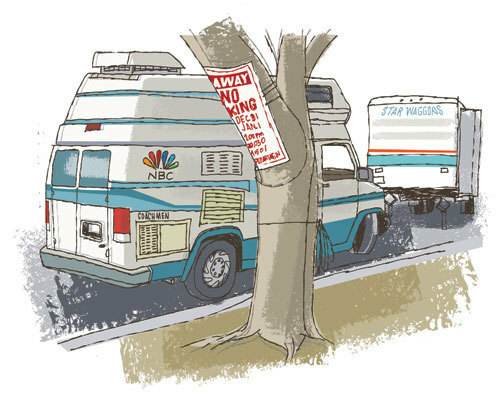 The LA Times ran a few sketchbook drawings about the transformation my Pasadena neighborhood goes through during the holiday season leading up to the Rose Parade. 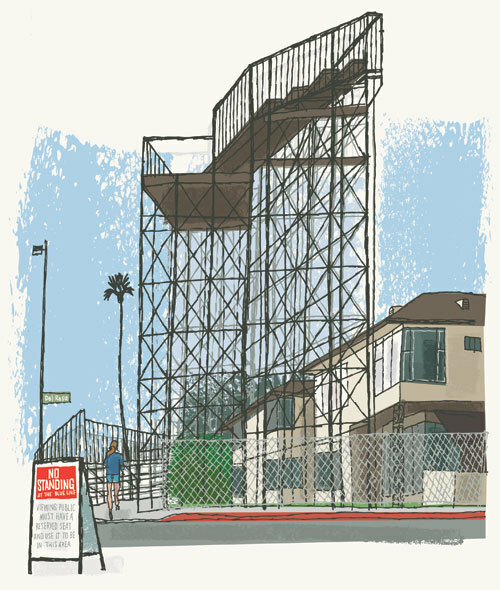 A village of activity springs up as bleachers and TV towers loom over the homes and apartment houses along Orange Grove Blvd. 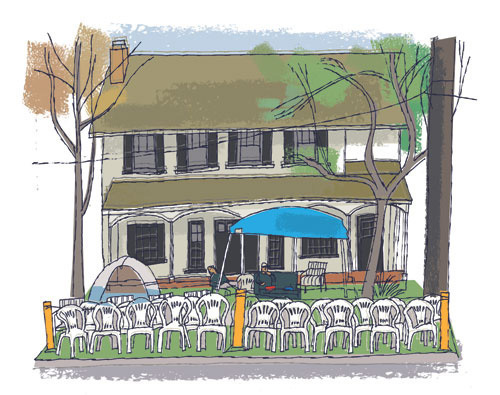 Homeowners line their front yards with folding chairs and camping equipment. Thousands of people sleep overnight to get a good spot to watch the parade on New Year's Day. I usually sleep until 10 and miss the whole thing. Thats my neighborhood too. I stay as far away from Orange Grove and Colorado as I can. Love the artwork! Great work, it's interesting to see how every subject is altered differently for its temporary role in the parade. I like the last the best, the no standing sign in front of this huge construction... there's something contradictory about it. Go Penn state! Nice reportage! Your pens must love you. Great drawings. Paul, Shorts, palm trees and not a single snowflake, that's just plain wrong. Great reportage. These are great Paul, almost makes me wish I was still in Pasadena today to enjoy it pre-garbage-explosion. paul, these are some great drawings, i havent been to your blog for a while and i was pleasantly surprised with all the new work. I esp. 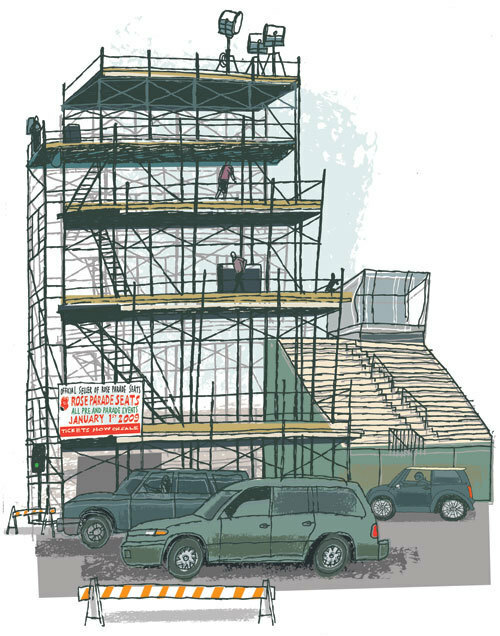 like the scaffolding drawing, i always trip out on those when they build the bleachers.